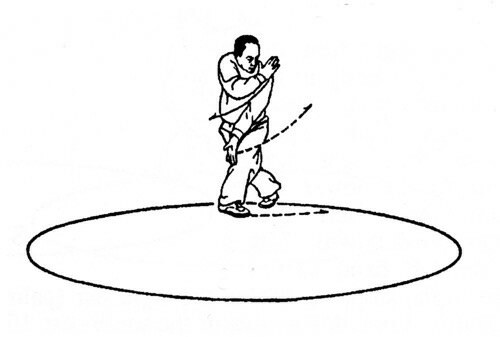 The Ba Gua Zhang Eight Animal Form of Master Gao Ji Wu is an important aspect of advanced Ba Gua Zhang training. This important form develops a multitude of body skills and strategic attitudes, but most importantly, it hones the practitioner’s intention (Yi) and understanding of how changing the intention changes the Jin, form, power and body structure. This series of articles, eight in total, examines the structure of the Eight Animal form, discusses the animal images that appear within the form, and their many layers and implications. Part 1 introduces the Eight Animal Form and discusses the first of the Eight Animal Palms – the Snake. Some styles of Ba Gua Zhang have specific animal forms, usually numbering eight. In some of these styles, each animal corresponds to one of the eight trigrams. These eight animals are not necessarily the same from style to style. This is one of the places where Xing Yi Quan’s description and understanding of the animals connects with Ba Gua Zhang’s expression of these animals. 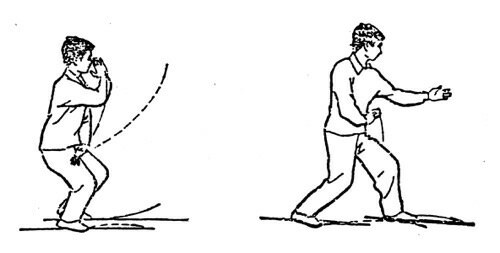 The connection with Xing Yi may be very strong in some styles of Ba Gua, and less obvious in others. In Gao Beijing Style Ba Gua, an offshoot of Liang Style Ba Gua Zhang, Master Gao Ji Wu teaches a Post-Heaven Eight Animal Form. This form is called Xian Tian Xiang Xing Zhang (先天象形掌) literally, “Pre-Heaven Shape-Form Imitating Palm.” Generally students refer to this form as either the Xian Tian form, or the Eight Animal Form. For purposes of this discussion, it will be referred to as the Eight Animal Form. In Gao Ji Wu’s version of the Eight Animals, the Bear, Phoenix (Qi Lin), and Chicken have been replaced by the Horse, Swallow, Sparrow Hawk, and Tiger. Correspondences with the trigrams in Master Gao’s Eight Animal Form have more to do with the eight directions, as delineated by the arrangement of the trigrams on the circle, than by a visual representation of the animal’s “signature.” This at first seems disadvantageous, but like many things in Ba Gua Zhang, has advantages and disadvantages. Each “Palm” in this Eight Animal Form corresponds primarily to a single animal, and contains between eight to ten movements. Elements of other forms from the Liang system appear in the Eight Animal Form: some of the 64 Hands and 72 Techniques, parts of Ba Gua Lian Huan (the Chain Linking form), and even parts of the Xing Yi animal forms. Famous practitioners like Wang Xiang Zhai have said that there were no Eight Animals in the original Ba Gua and that they confuse and obfuscate the learning process. This argument has validity, but also falls into the cultural trap so common in China that ‘only the original old things are good and newer additions detract rather than add’ – which is a larger discussion. If we assume this form has a purpose, what would it be? The Ba Gua Zhang Eight Animal Form is a kind of model that provides the practitioner with mental, physical and spiritual/totemic archetypes that transcend rational thought and eventually operate on an unconscious level. This “Eight Animal Model”  internally imprints strategic principles of mind, body, intention and spirit that allow the individual to adapt instantly to the changing circumstances. It is easiest to start a discussion about these ideas as they relate to fighting and self-defense. This will inevitably lead into more psycho-spiritual interpretations of the same concepts. In general, whether one is learning the Eight Animal Form or teaching to students, one quickly notices that different individuals naturally gravitate toward certain animals more than others. That is, one or two animals just seem “right” for them, while others seem unnatural and difficult to learn. This has to do with body type, but also psychological makeup and mental attitude. For example, the tiger is fierce and powerful, crouching and then springing forward to pounce while striking, rending and tearing. The monkey, on the other hand, is quick, agile and clever in its hand and body work. The tiger might suit a strong individual with a powerful torso and arms who prefers direct penetrating attacks, while a smaller person who is quick and agile might be better suited the monkey’s ability to shrink and crouch, drawing in a larger opponent, and then following them, biting, hooking and seizing as the knees and feet strike from below. The tiger is fierce, but also patient, as it crouches and waits for the right moment. The monkey is smart and mischievous, teasing and luring the opponent to overextend. A tall slender person with wiry strength might gravitate toward the dragon. He or she can easily use the dragon’s ability to contract and extend, reaching out with clawing hands, trampling the legs while coiling and exploding outward and upward. The horse uses its powerful shoulders to gallop forward, pressing and striking downward with its hooves. This might appeal to a sturdy individual whose quick hands and feet can unleash chops, punches and stomps. The dragon appears and disappears, changing tactics seamlessly, the mind calm and aloof as the body coils and uncoils. The horse is bold and courageous, moving in and out quickly with shaking body power. Despite the proclivity to perhaps be drawn to one animal, it is important to practice all the animals and to understand their differences and similarities. In order to actualize the Eight Animals, there must be an inner dynamic in which one has the potential to use all the animals. Jerry Allan Johnson explains this idea succinctly. This last sentence actually gets to the heart of the matter. The purpose of the Eight Animal Form is to understand how transforming the Yi (intention changes the mental attitude, spirit, emotion, power generation, strategy, and the shape or external form of the body. In Gao Ji Wu’s Eight Animal Form there are number of places where the same movement appears in two or even three different animals, yet that movement is a ‘lion’ movement in the Lion Form, a ‘monkey’ movement in the Monkey form and a ‘dragon’ movement in the Dragon form. Changing the intention changes everything. Therefore the Eight Animal Form is not about choosing certain animals in a conscious, intellectual manner because they manifest specific strategic and martial abilities, but about seamlessly changing one’s intention from moment to moment, according to the changing circumstances. Will one still gravitate towards certain animals and their particular qualities? Yes. But it is more a question of particular animals choosing you, than you choosing those animals. Earlier, the dragon, tiger, monkey and sparrowhawk were discussed in some depth. However now is a good time to revisit them in the context of the Eight Animal Form. The easiest way to do this is to present the animals in the order that they appear in the form, and talk about them both individually and in their relationship to each other. Remember, Ba Gua has a fractal-like nature, in which there is a continuous and exponential repetition of principles and structure on all levels, existing in every aspect of the art. Therefore, one should seek to understand, on a visceral level, how the Eight Animals interconnect, interpenetrate with one other and how each animal is both generated by, and also generates, all of the other animals. Extend Left Hukou to Seize the Throat. The Snake Palm is associated with the Qian Diagram (乾卦), because as you are walking the circle, the snake palm begins as you step to the position of the Qian Trigram in the NE. 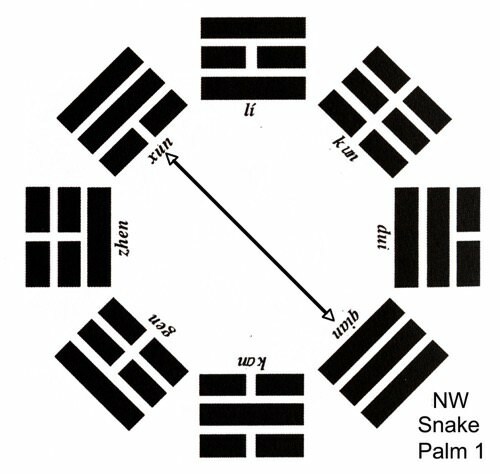 All of the movements of this palm will run on the line between the Qian (NW) and Xun (SE) trigrams (Using the Post-Heaven Trigram arrangement). The Snake (She 蛇) is flexible and pliable. It is a cousin to the dragon and shares some similar qualities, particularly in its flexible body that coils and wraps effortlessly. Hence, Xing Yi and Ba Gua practitioners talk about “snake body” or “dragon body” – the ability to independently articulate the ribs, in order to gather and release power. The snake is replete with Qi, which moves through its body without obstruction. This is why it can independently articulate any part of its body and why the snake’s whole body seems to breathe. 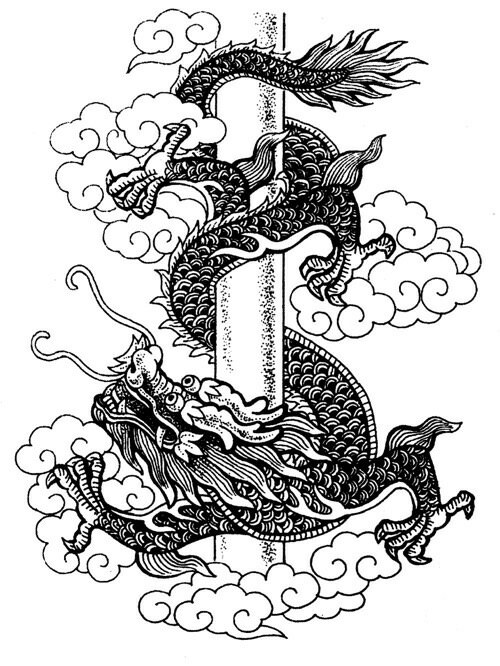 The dragon wraps around stone columns, a common motif in Chinese architecture, while the snake is said to coil around a branch or a tree. The connection of the Dragon and Snake is seen in movements like Green Dragon Extends Claws and Turn the Body to Walk, referencing a dragon coiling in the clouds and reaching outward with its claws. The ability of the snake and dragon to tightly wind around a pole is also seen in Left Pulls, Right Seizes, Dragon Offers its Claw. In addition to coiling and wrapping, the snake has other abilities some of which are detailed in the following Xing Yi Poem. Constant  Jin and intention depend upon the waist skill. The ability to extend and flex its body is also one of the abilities ascribed to the dragon. The undulating motion of the snake with its ability to elongate and withdraw its body is also reminiscent of the dilong (“earth dragon” or earthworm). The ideogram for snake contains the worm radical chong (虫). To watch a snake move is to see continuous, unbroken expansion and contraction, extension and flexion, coiling and uncoiling. Its movement is akin to water flowing along the ground, hence in Ba Gua Zhang the snake is commonly associated with the Kan-Water Trigram, which shows softness on the outside and firm strength within. This water-like flow is seen in many of the movements of the Snake Palm, particularly, Bend Body, Pounce on Ground and Snake Comes Out of Cave and Silver Snake Coils Around Willow Tree and Spits Out Its Tongue. 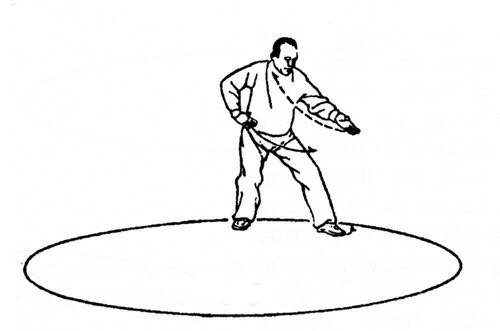 The yin, soft, yielding lines of the Kan-Water Trigram are on the outside. Inside there is a strong firm yang line – firm strength concealed within flexibility and softness. The snake is pliable and relentless in its movement. Inch by inch, it advances its body into the smallest spaces. This pliability also shows itself in the snake’s ability to attack with any part of its body. Grasp the head and the tail attacks; grasp the tail and the head attacks; grasp the middle and both head and tail attack. This ability is clearly shown in movements like Baibu, Turn the Body and Stamp the Enemy’s Chest, in which the body coils and rotates to stamp with the hands. In the Eight Animal Ba Gua Zhang Form, many of the movements imitate the coiling body power of the snake. However, there are also strikes with the fingertips that simulate the snake’s head darting forward to attack with its fangs as in Snake Spits Out its Tongue. The snake is maneuverable and flexible, its Qi smooth and unobstructed, and its spirit bright and penetrating. The snake deals effortlessly with obstructions to its movement and changes, never confronting them directly but either winding around them or penetrating through hidden openings. Like water, the snake is adaptable and follows the contours of the terrain and the situation, always finding a path for movement and transformation. In combat, the attitude of the snake is to be like water, impersonally and inexorably adapting to the situation in order to penetrate the opponent’s defenses. The Eight Animals of Ba Gua Zhang by Jerry Alan Johnson, Pa Kua Chang Journal vol. 4, no. 1 Nov-Dec 1993. Pacific Grove, CA: High View Publications, p. 24. The Eight Animals of Ba Gua Zhang by Jerry Alan Johnson, Pa Kua Chang Journal vol. 4, no. 1 Nov-Dec 1993. P. 25. 屈Qu – bent contracted; 伸Shen – stretch, extend. 连绵 means continuous, unbroken, uninterrupted. Detailed Collection of the Art of Xing Yi Quan by Liu Dian Chen (Liu Wen Hua), translated by Huang Guo Qi and Tom Bisio 2013.